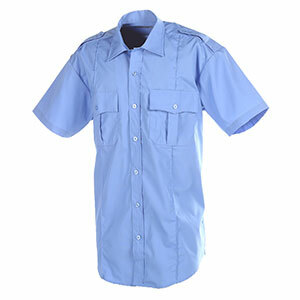 EMT/FIRE Dress Shirt is made of 65% Polyester/35% Cotton. Features Pleated pockets, scalloped flaps, hook & loop closures, button front, pen opening in left pocket & pocket flap, badge eyelets with internal shoulder support strap stitched in military creases, cross-stitched shoulder straps and extra long tails, machine washable. You must be currently enrolled in the Chemeketa Emergency Services program to be eligible to purchase this item.